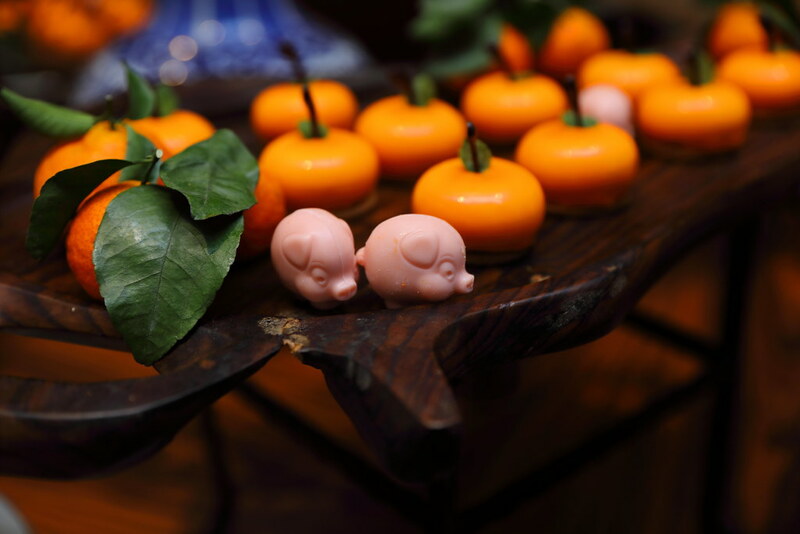 Upholdingthe traditions of the Chinese New Year, Executive Chef Eric Neo and his team has put together a collection of festive culinary masterpieces and delightful Lunar New Year goodies to usher in the Year of the Pig at Man Fu Yuan, Intercontinental Singapore. A comforting and yet nourishing soup is the Double-boiled Chicken Consomme. 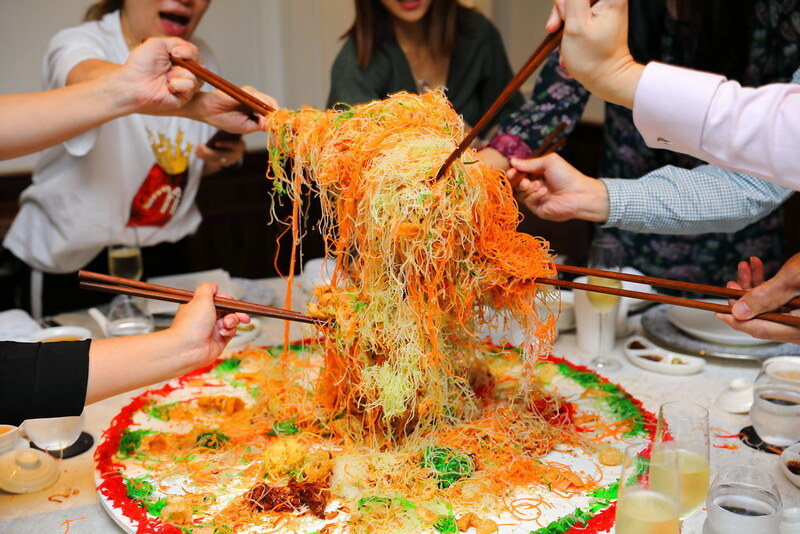 Clean tasting but packed with rich depth in flavours, you can also find lush ingredients such as nameko mushrooms, sea cucumber, fish maw and bird's nest in it. 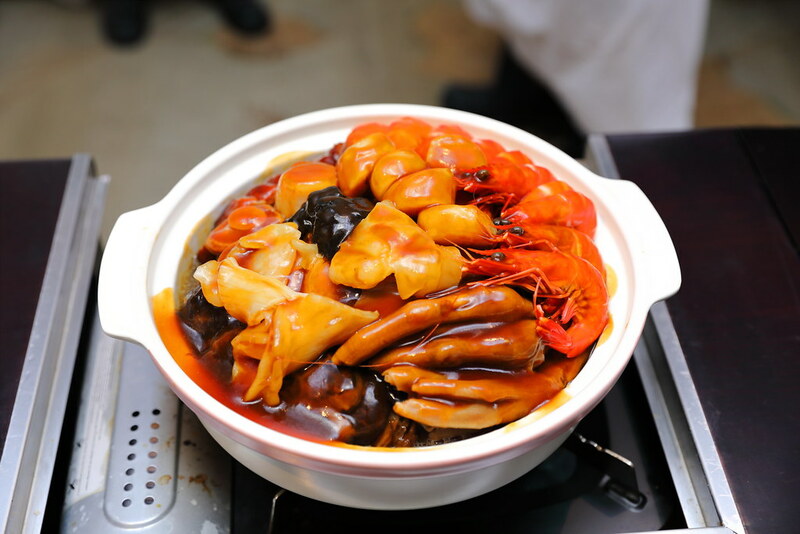 One of the highlights at Man Fu Yuan is the Abundance Treasure Pot ($398) brimming with over 18 different ingredients. In the treasure pot, feast to a pot of braised pig's trotters, 10-head whole abalone, fish maw, sea cucumber, Hokkaido scallops, roast duck, goose web, dried oysters, prawns, sea whelk, chicken wing, flower mushroom, cabbage, fried bean curd skin, fried yam, cured meat sausage, liver sausage and fatt choy. 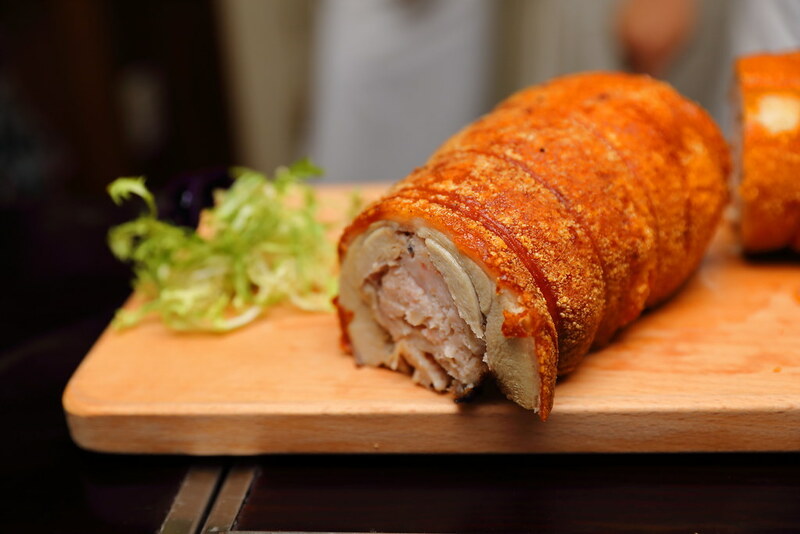 New this year is the Roasted Pork Belly Roulade with Minced Seafood ($368 for 4kg). The crackling skin and juicy meat is really enjoyable. However I did not quite like the minced seafood stuffing in between. I still prefer their signature suckling pig stuffed with glutinous rice. 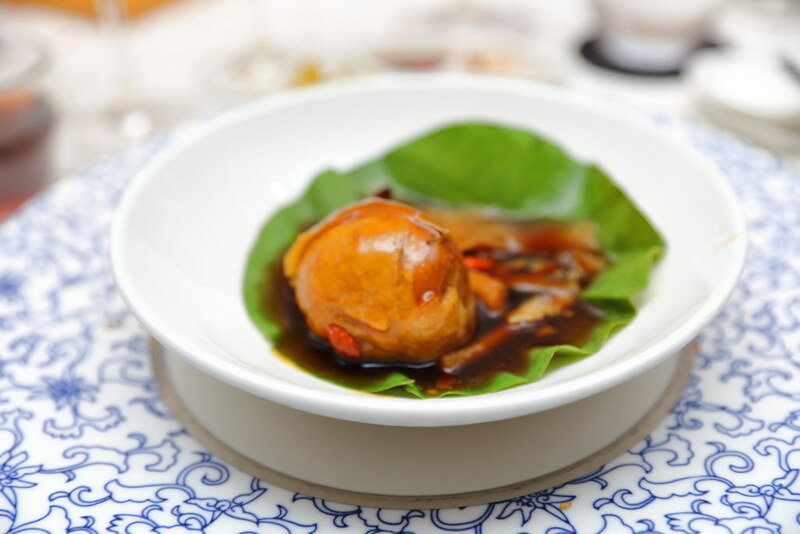 A beautifully executed dish is the Herbal Chicken in Lotus Leaf. It is quite amazing how the chef manage to roll the chicken into a ball. The aroma of the herbs managed to infuse and elevated the appreciation of the tender poultry. 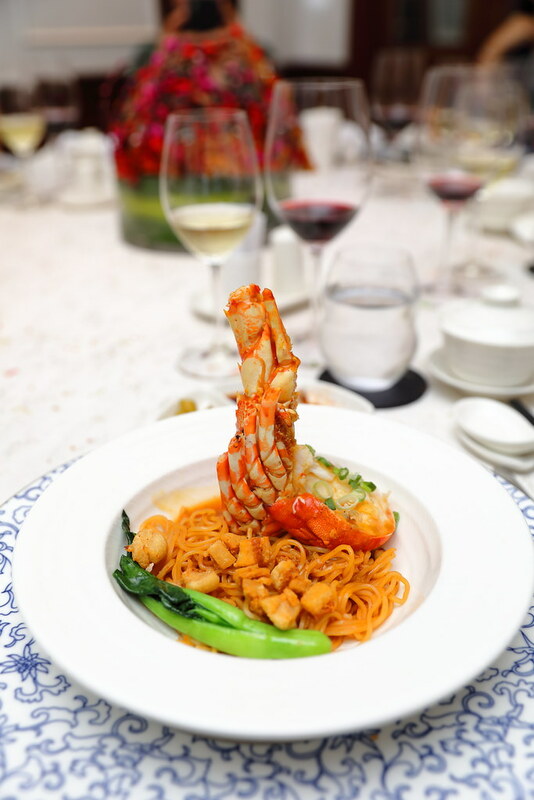 Last but not least we wrapped out our dinner with the Lobster Egg Noodles in XO Chilli Sauce. 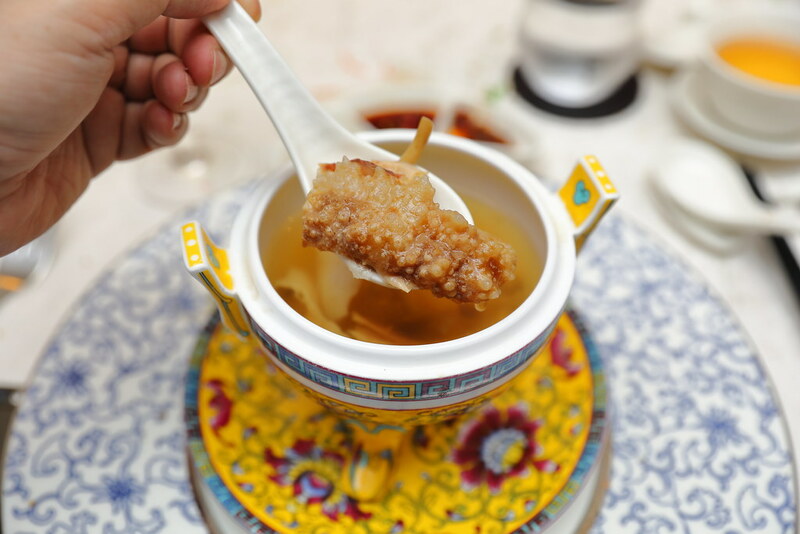 This slurping goodness is packed with the unami XO chilli sauce, boosted by the addition of freshly fried pork lard. The bountiful lobster lavish the whole enjoyment. Chinese New Year goodies are available from 26 December 2018 to 19 February 2019. Guests enjoy 20% early bird savings when you order between 26 December 2018 to 20 January 2019, and enjoy an additional 5% privilege when order online at https://singapore.intercontinental.com/festive/shop. 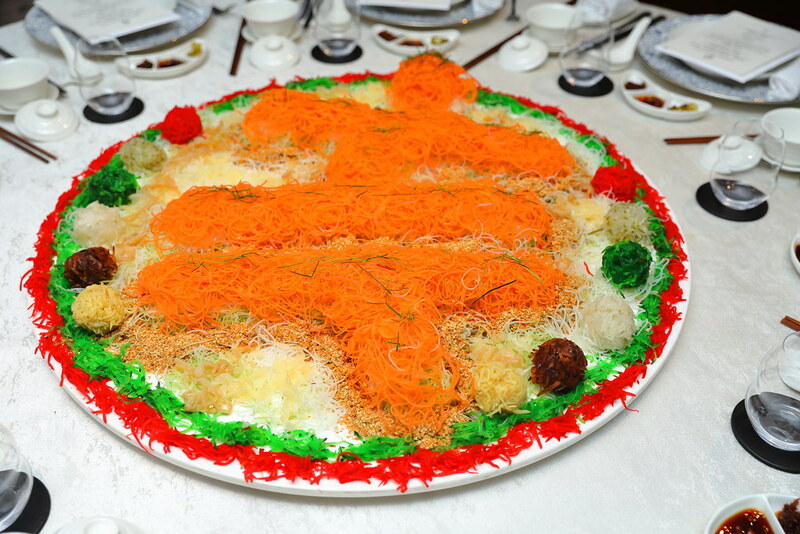 Three working days are required for processing of orders, and the Chinese New Year goodies may be collected from the Man Fu Yuan Shoppe located at the entrance of InterContinental Singapore from Bugis Junction from 4 January to 3 February 2019, and at Man Fu Yuan restaurant on Level 2 of the hotel from 4 to 19 February 2019. 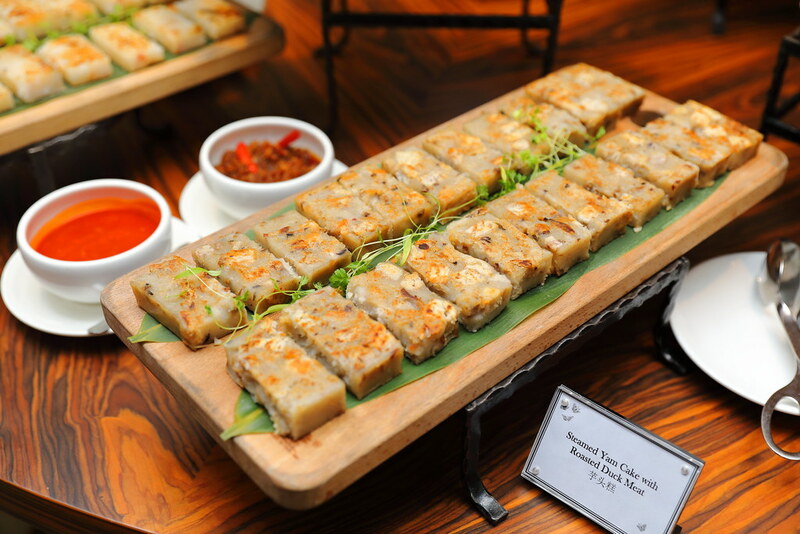 For reservations, enquiries or to place an order, please email sinhb-festive@ihg.com, call +65 68251131 or visit https://singapore.intercontinental.com/festive/shop.